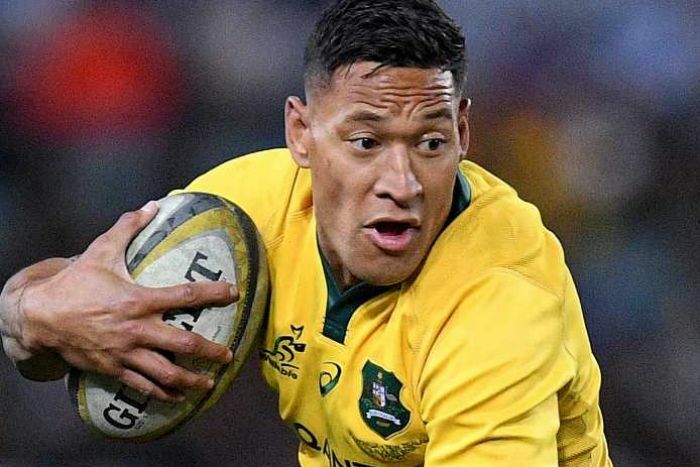 Folau came under fire last week after a post on his social media channels declared homosexuals, thieves and adulterers were destined for hell. Rugby Australia’s integrity unit on Monday deemed Folau had committed a high-level contract breach, warranting termination of his employment. It was not the first time Folau endured a backlash for posting anti-gay messages on social media. Last year, he posted that “those that are living in sin will end up in hell unless you repent” on his Instagram account.